Obedience is complying and agreeing with the order of someone. Obedience is the basic thing required in life, especially for children, students and those in defense assignments. Benjamin Franklin rightly said, “let the child’s first lesson be obedience and the second shall be what thou wilt’. Those who learn obedience are sure to come up in life because they have climbed the first step of success. They learn to hear what others say, analyze the pros and cons of it and then obey which is the main secret to success. At times, implicit obedience is also essential which does not mean loss of freedom. Obedience is true freedom. If only obedience is practiced in the early stage of life, a good and bright future will be guaranteed because as Aeschylus said, “obedience is the mother of success and is wedded to safety”. 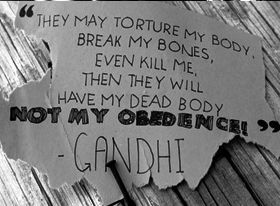 The collection of quotes on obedience gives a clear and transparent message and can be followed by anyone.